Among the many mysteries of David Letterman: how much time he's planning to take off this summer. The CBS "Late Show" host turned over the reins to guest host Tom Arnold on Friday. Letterman's spokesman, Steven Rubenstein, said Monday that Letterman will make up his mind whether he's taking more time off as he goes along. "I've worked since I was 11 years old," Letterman said on his show last week. "And I just feel like it's summer now, I'd like to take a day off." The oddity is that Letterman rarely works Fridays anyway. He generally tapes his Thursday and Friday shows back to back on Thursday evening - so, by skipping Friday, he's basically leaving the office a few hours earlier. 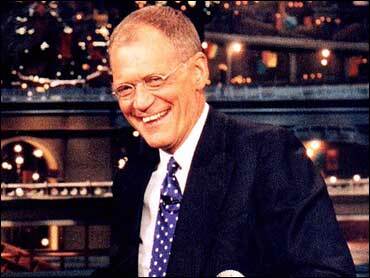 Letterman missed five weeks of work earlier this year due to shingles, and was out after a heart bypass operation in 2000. The time off is notable since he's competing against a workaholic. NBC "Tonight" show host Jay Leno missed his first night of work in a decade last month due to a job switch stunt with Katie Couric - he was host of "Today" that day instead. Leno has expanded his advantage over Letterman in the ratings over the past few years. "We were aware he was taking last Friday off," said Chris Ender, CBS entertainment spokesman. "We don't know what the situation is for next Friday. But we don't expect it to be a prolonged situation."